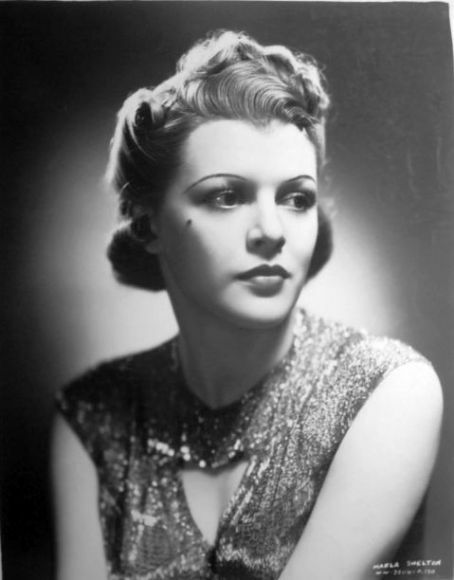 Nadine Dore had a pretty standard career path – beautiful girl who aspired to become an actress, stared dancing young, worked as a chorus girl, and got to Hollywood via the pageant route. And it all ended with Nadine, barely in the 30s, retiring from movies after a string of uncredited roles. Let’s learn more about Nadine! 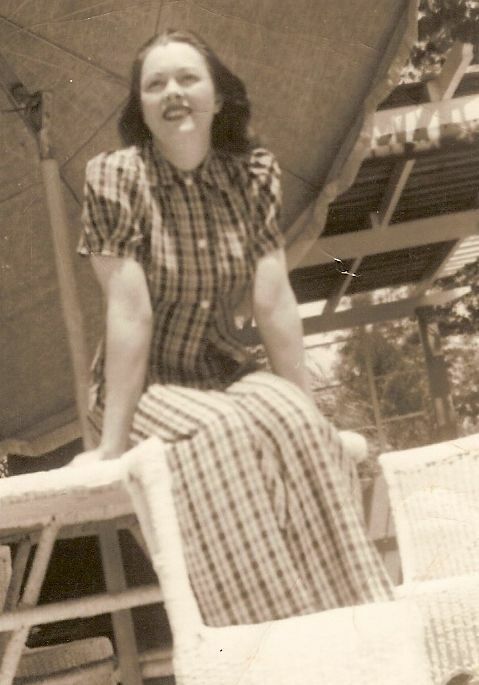 Pyhllis Nadine Redman was born on September 18, 1912, in San Jose, California, the only child of Joseph M. Redman and Nina Koehler. Her father was a florist. 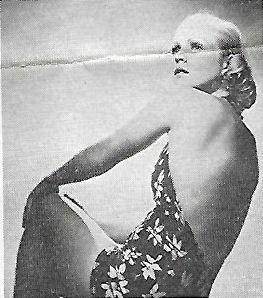 Phyllis grew up as a California beach girl, very much interested in the performing arts, dreaming to become a dancer and actress some day. She started attending beauty pageants when she was 13 years old, and pretty soon was a regular on the circuit, winning more of them than not. After Nadine graduated from high school, she packed her bags and moved to New York, becoming a show girl. Nadine proved to be quite popular as chorine, but for unknown reasons she returned to California a year later. She became a member of the cast in the revue at the Hollywood Music Box. 1931 was a big year for Nadine, and one can say that Pyhllis Redman became Nadine Dore right then and there. In a short time-span she was successively named “Miss Los Angeles” and “Miss North America” in beauty contests. After she became Miss North America, Hollywood came knocking on her door, and she started her acting career that same year! Nadine appeared as a Goldwyn girl in the aptly named Palmy Days, a very good Eddie Cantor musical. Don’t expect any real depth, but there are plenty of funny lines, physical gags and good music, so that’s all we are asking for! Then came Good Sport, a perfect example of the best of elegant Pre Code comedies, with an implausible plot (a woman unwittingly rents an apartment from her husband’s mistress while they are both in Europe – whoa Nelly!) , but made with a dash of style and panache! The only minus is that John Boles is in it – one of the least memorable wooden faces ever! And he always plays the nice guy (boring as heck). 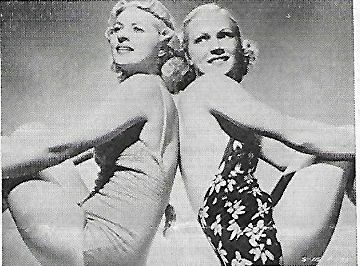 But a plus to Linda Watkins and Greta Nissen, both underrated actresses! Next up was The Scarlet Brand, a forgotten Bob Custer western. Ditto Bill Cody’s Law of the North. Luckily, Nadine went back to non western movies afterwards. A Parisian Romance was another funny pre-Code sexual romp, the kind of they don’t even make today. 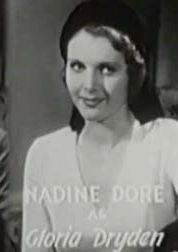 Nadine got her first credited role in A Strange Adventure, a Regis Toomey/June Clyde murder mystery. Imagine a cheery 1930s film noir and you’ve got it. 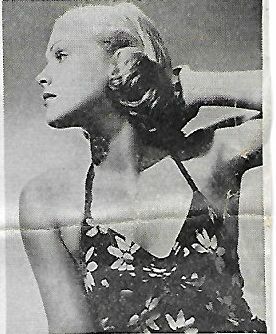 Nadine was then in Dancing Lady, a Joan Crawford musical, where Joan plays, surprise, a working girl who becomes a star! So atypical for our Joanie, no? While this movie is no masterpiece, I love it – mostly for Franchot Tone, whom I generally adore. His relationship with Joanie is the movie was tops! Sadly, this means her proper romance with Clark Gable (as the male lead) just didn’t do it for me. Ah, that happens when you act opposite your husband and your lover in the same movie! Next: She Couldn’t Take It, a very-rich-and-plain-crazy-family doing some crazy things screwball comedy in t he mold of My Man Godfrey (made several years later). Unfortunately, the leads, played by George Raft and Joan Bennett, fare better in non comedic roles and don’t quite have the punch to make it work, but the supporting cast is tops (Billie Burke, Walter Connolly, Donald Meek…). Nadine lost her contract, and decided to give herself a seocnd life under a different name, Carol Wyndham. 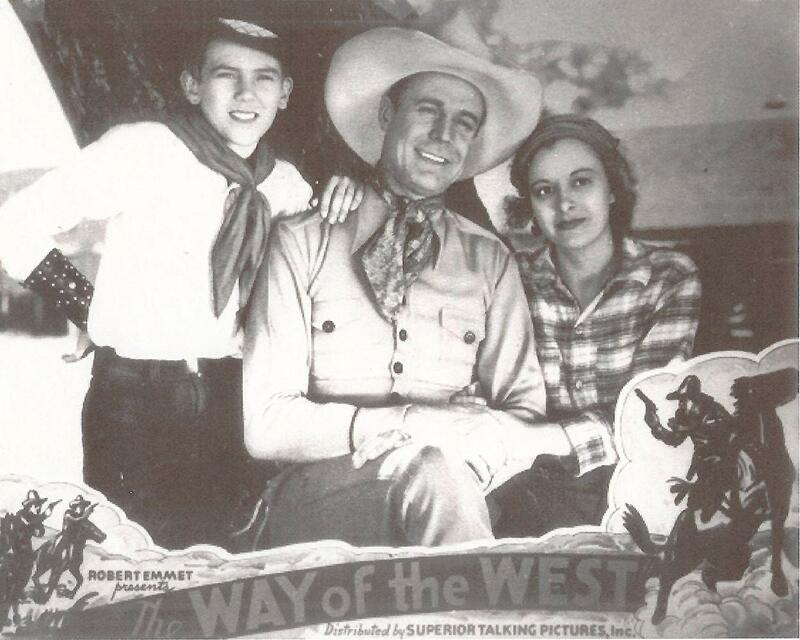 Carol appeared in as a lead in the low-budget western, Roamin’ Wild. But that was about it with leading roles. She was back to uncredited role with The King Steps Out, a totally romanticized version of the Franz Josef/Sisi courthsip (much like the popular 1950s movies with Romy Schneider, not grounded in reality one bit, sadly). The movie has Franchot (as Franz Josef) so it’s a go go go for me! Sisi is played by Grace Moore, whom I find to be a bland actress to meh! Carol marched on. Venus Makes Trouble is a completely forgotten comedy, and Start Cheering is actually a pretty decent romance musical with Jimmy Durante. And that was it from Carol Wyndham. And that was it from Nadine! Nadine weighted 116 pounds in her prime and had brown hair and sparkling blue eyes. Nadine boasts a unique distinction of probably being one of the few chorus girls in history that owned an airplane and were able to fly It. She was a proud proprietor of a swallow plane in which she took lessons in plain and stunt flying under the tutelage of Finley Henderson, stunt aviator. 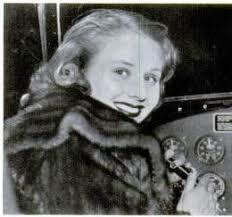 Prior to the purchase of the plane, when she was about 19 years old, Nadine had acquired a reputation for air stunting, but had never flown a plane. Beauty Charges Beating in Her Divorce Plea Nadine Dore Miller, screen actress and former beauty contest winner, filed suit in Superior Court yesterday for divorce from Chester G. Miller. Last Monday after accusing her of being too friendly with another man he beat and choked her, she charges in her complaint. They were married last April 22. 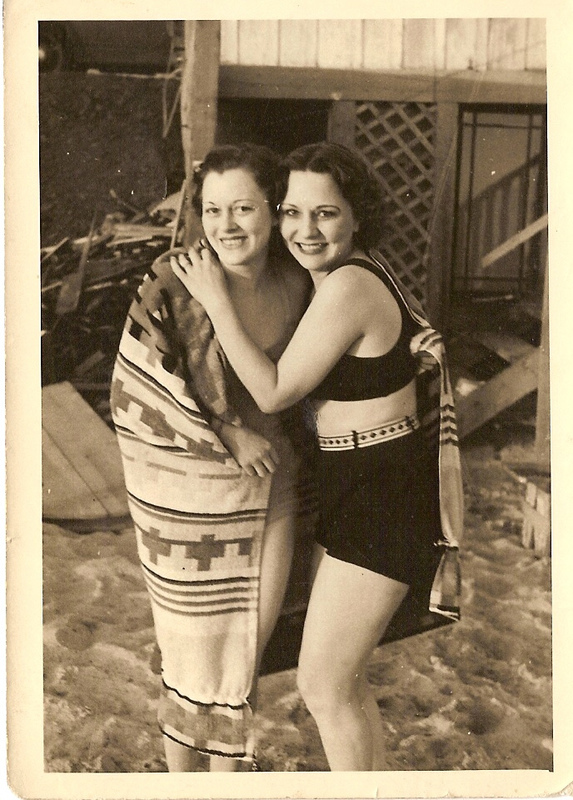 As Nadine Dore Mrs. Miller won title of “Queen of Beauty” at the First National Beauty show in 1929 and in 1931 she was acclaimed “Miss North America” at the Ocean Park Municipal Auditorium. Obviously that was hardly a high quality marriage. They divorced not long after. Nadine Dore Suing To Rescind Contract 3 (Bv Associated Press) LOS ANGELES, Dec. 15 Nadine Dore, who two years ago was acclaimed as having the Ideal physical measurements for a screen actress, today filed suit against the Fox Film corporation to have rescinded a contract under which she never was paid more than $49 a week as an actress. As we already learned elsewhere on this blog, suing a studio in the 1930s was a really, really bad idea, especially if you were a non name actress with no thick background. Olivia de Havilland and Bette Davis did it later in the 1940s, but they were both famous actress with plenty of clout – and Nadine most certainly was not. Carol Wyndham started winning beauty contests when she was 14 and won too many. She says now it is hampering her chances for a motion-picture carer. She has changed her name to shake the jinx and has just been assigned a small part in a film. 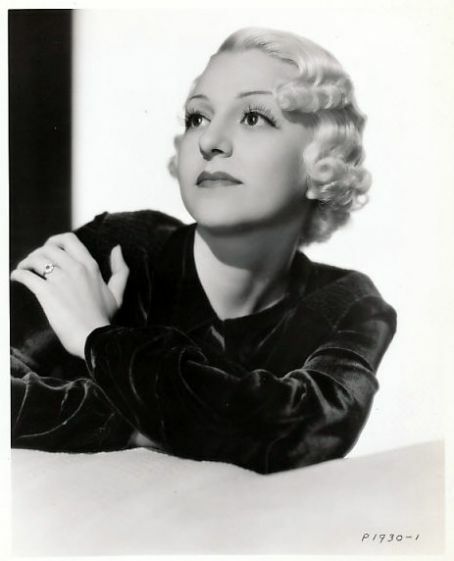 She won the beauty contest titles of ” Miss Southern California” in 1927 ” Miss C a 1 i f or-nia ” in 1929, and “Miss North America ” in 1931, was espied playing a featured bit in the Carole Lombard-Fredric March picture, “Nothing Sacred,” at Selznick’s. Miss W y n d h am has her first speaking part in this film. Commenting on her long apprenticeship as a film dancer and part of the “beauty background” in so many pictures, this actress, now 24, uttered the following sage remark: “Too good a shape is a detriment for a girl in the movies. If a girl wants to be a star, it is her personality that she must make noticeable. ” After I won those beauty contests I thought for a while that I was wonderful But a couple of years in the movies knocks that feeling out of you,” she continued. But no, it wasn’t really enough to fix the jinx. 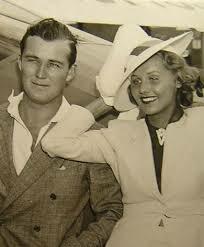 Nadine retired from Hollywood after Carol Wyndham outing, and married for the second time to Dell Henderson in Idaho in 1941. Unfortunately, there was nothing else I could find about Dorine. According to the IMDB, she died on April 20, 1992, in Riverside, California. As always. let’s hope she had a happy life! A Midwestern girl came to Hollywood armed only with a nice face, good body and some dancing skills, and actually got a chance to play leads in low-budget movies. This could go both ways – either it’s a springboard to something better or it’s a peak of an otherwise abysmal career. Unfortunately, Adele Lacy suffered the former fate, and after an initial short blast spent the rest of her career in the chorus. 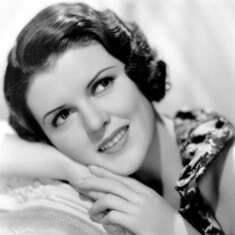 Adeline Charlotte Fergestad was born on September 8, 1911, to Morris Fergestad and Mina Johnson, in Minneapolis, Minnesota. Her paternal grandparents were born in Norway, and Mina’s family were also of Norwegian stock, making Adeline of the Minnesota Scandinavians. Her older brother Marvin was born in 1910. Morris Fergestad was a postal clerk at the local post office. The family lived in Colfax Avenue, Minneapolis with two lodgers. Adeline was a vivacious red-haired child who had a knack for dancing and performing – she often played leads in local shows. She studied under Ruby Helen McClune of the Junior School of Expression. 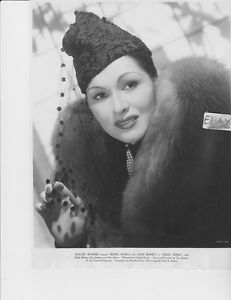 Beautiful and talented, she was appearing in several Kiddie Revues at the State theater, subsequently taking minor roles at the Schubert theater. When McClune went to Los Angeles to learn more dancing techniques, Adeline accompanied her. She loved the city, and vowed to return one day. But it was back in Minneapolis for now. Adeline’s first claim to fame was appearing in a Gus Edwards revenue in 1926 – she was chosen among hundreds of other Minneapolis dancers. As for academia, Adeline attended Jefferson Junior high school and West school. 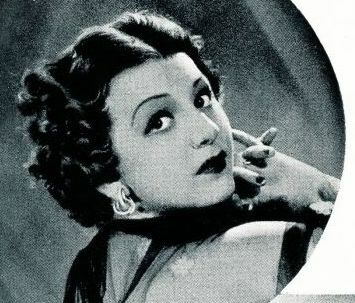 In 1928, before Adeline graduated from West high school, she packed her bags and left for Hollywood, hoping to break into movies after getting some slack by appearing in Gus Edwards show. Adele’s first known role, and one of the few where she was credited, was Vanishing Men, a lost low-budget western. Adele had the dubious honor of playing leading roles in two more low budget westerns The Wyoming Whirlwind and When a Man Rides Alone. While none of these movies have any impact on the world of film, viewers actually seem to like When a Man Rides Alone and it got strong kudos! You could say I was surprised – I never expect anybody to watch these old cheapies. 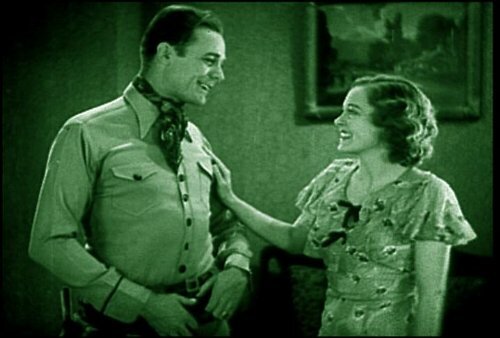 Obviously, people still like Tom Tyler and watch his movies, but the question was, did Adele benefited from acting opposite such a western icon? Short answer, no. Like most B western heroines, Adele’s career went nowhere fast. While she started pretty good – leading roles after all, it was dissolved from then on, and she remained a chorus staple in some good movies, but she was still just one of the chorus girls, rarely noticed. She was a Goldwyn girl in The Kid from Spain, the ultimate Goldwyn girls classic. She was also in the legendary 42nd Street, and this is for sure the highlight of her career. 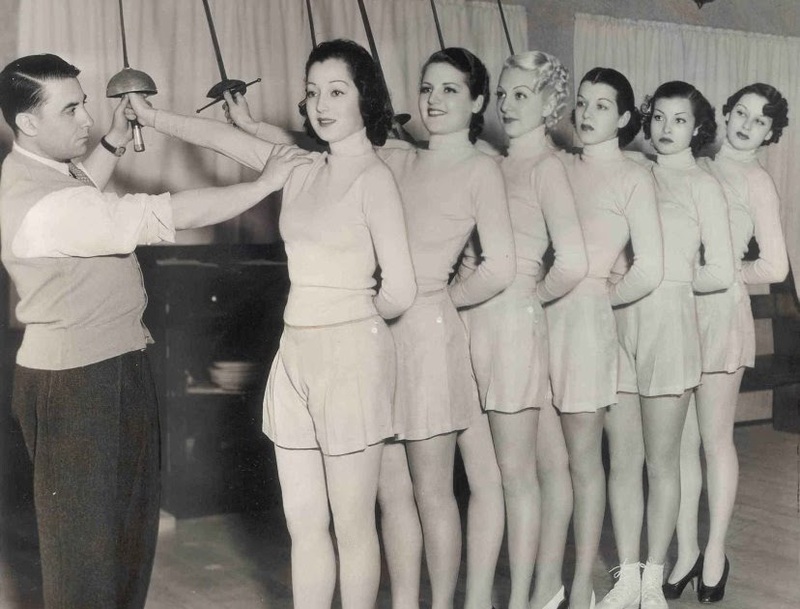 It seems that being a Busby Berekely chorus girl was a career path many girls took when they arrive in Tinsel town. 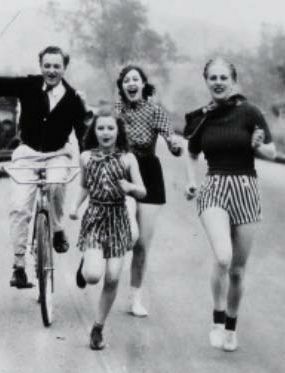 Too bad only a small fraction outgrew this fun and quite limited function. Adele appeared in Busby’s movies with an almost alarming frequency: Gold Diggers of 1933, Footlight Parade, Redheads on Parade. They are all the typical Berkeley musical – slim plot but lavish dance numbers and a whole loads of scantily clad girls to go over. And sadly, that was it from Adele! Adele had natural red hair, hazel eyes, was 5 feet 2 inches tall and weighed 114 pounds in her prime. Adele married her first husband, Madison S. Lacy, in 1929. Madison was born on August 2, 1898 in Philadelphia, Pennsylvania. He worked in Hollywood as a stills photographer from the late 1910s. He later became a successful cheesecake photographer and took photos of many famous pin-up girls and actresses. His best known work are the stills of Ingrid Bergman from 1944. Madison undoubtably helped her wife carve her path in Hollywood, but other than that little is known of the marriage. 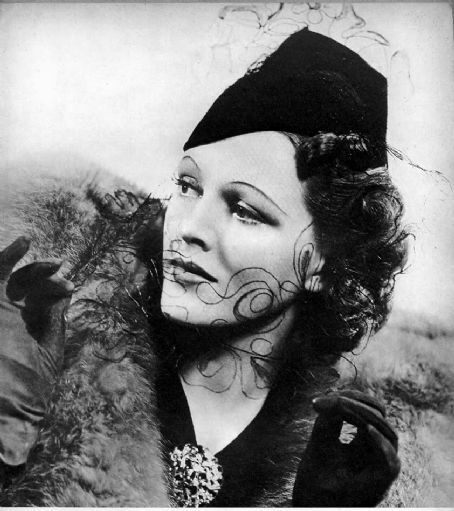 They divorced about the time her career came to an end, cca 1935. 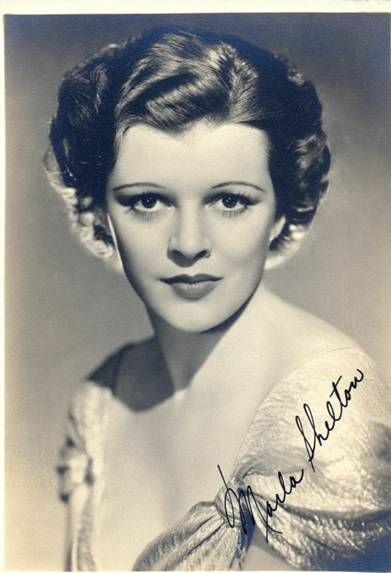 Madison remarried to actress Lois Lindsay and died on April 26, 1978. 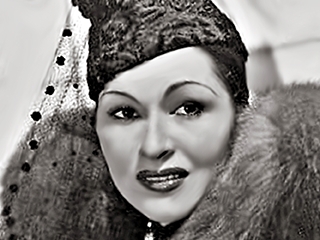 In 1935, Adele left her movie career to become a special correspondent in Shanghai, China for a U. S. news syndicate. She was there for roughly a year, and then moved to London, England, also as a correspondent. After a year spent in London, she returned to New York, went back to Minnesota for a short time, and decided to take the big plunge and get married again. My guess is that she met her future husband during her two years outside the US, but anything is possible. 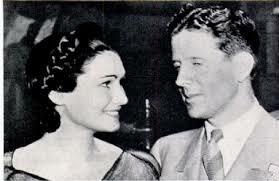 Adele married Walter Abel Futter in December 1937. Futter was an interesting, larger than life character. Futter was born on January 2, 1900, in Omaha, Nebraska. Walter and his brother Fred were known in the early 1930s as the “junk-men of filmdom” because of their successful stock footage library. The two started buying negatives of bankrupt firms and amateur cameramen in 1926, calling their firm “Wafilms.” By 1928 they made profits by buying “short ends” of movie reels and selling them at big prices. Futter also produced short movies for Columbia studios, specializing in travelogues – his biggest ace was Africa Speaks – where a Colorado expedition visited Africa. In a world before internet, where a majority of the population never left the continent, and where Africa was a half mythical country, these movies were a smashing success. He tried to repeat the formula several times after, but never managed to react the success of Africa speaks. He was also one of the first filmmaker to show a zombie on-screen. 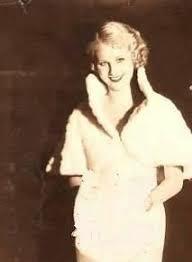 Futter was married once before, in 1927, to Patricia Elizabeth Murphy, they divorced a few years later. In 1938, the Futter moves to London, where he produced British movies. When the war started in Europe, they returned to the US, living in New York. The Futters moved to Market, New Yersey, in 1944. Reports Wife Missing On Trip to Manbattan New Market Police announced last night that Mrs. Adele Futter, 34, of Poe PI., had been missing since noon Tuesday when she left in her car for New York City. According to Arthur H. Schlun-sen, police chief of Piscataway Township, Mrs. Futter was last seen in Manhattan Tuesday by her doctor whom she visited during the day. Five feet two inches tall and weighing 120 pounds, the missing woman is the wife of Walter A. Futter, producer of motion picture short subjects and travel films. The Futters moved to New Market approximately one month ago. Mrs. Walter Futter, 34, of Coe place, former actress, who had been missing for nearly a week, has returned to her home, police revealed today. The woman, who had left home last Tuesday to visit a physician New York City and then mysteriously disappeared, stated last night she had been visiting in Moorestown, Pa., and did not realize her husband had been alarmed about her. Futter notified police late Sun day night he was satisfied where wife was and asked the tele type alarm be recalled. Mrs. Futter stated she had telephoned a woman friend she knew the Orient while in New York City and discovered there had been a death in; the family. She decided to visit the friend in Moorestown and had asked someone to telegraph her husband to that effect Evidently, she said, in the excitement of the invasion, the telegram had not been sent. Mrs. Futter immediately tele phoned her husband when she read in the paper she had bee missing and came home yesterday. Her husband is a producer of motion picture shorts and travel forms. This look normal to you? I am on the edge, this kind of gaffes can happen all the time, but something I feel something fishy… Maybe Futter was just an overtly dramatic man? In 1953, Adele learned she had cancer – after a traditional treatment in the US, she moved to Mexico City for alternative treatment. Unfortunately, it was too late for Adele. Adele Lacy Futter died on July 3, 1953 in Mexico City, Mexico, survived by her husband and brother. Adele’s widower, Walter, married painter Howard Hoyt s ex-wife Betty Bartley in November 1955. Walter Futter, 58, who is being sued by his blonde showgirl wife, Betty Futter, 35, for separation and $’.00-a-week temporary alimony, made it known today that from now on he wants her to pick up her own tabs. In a paid newspaper advertisement, Futter said: “My wife Betty, having left my bed and board, I am not responsible for her debts.” Futter was served with a complaint in Betty’a action last Friday. In her papers, Betty charged he was “insanely jealous,” falsely accused her in public and private of infidelity, and frequently beat her up. The drama came to a halt when Walter Futter died on March 12, 1958.